Trey Pedley was raised in Owensboro with a background in concrete and the construction industry. He graduated from Owensboro Catholic High School. In December of 2013 Trey completed his Bachelor’s degree at Western Kentucky University in Environmental Planning & Natural Resource Management with a minor in Sustainable Development. Throughout college Trey interned at the Evansville Metropolitan Planning Organization as a Transportation Planner and at the Barron River Area Development District as a Community/Economic Development Planner. 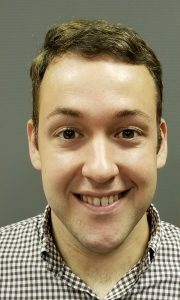 Following college Trey worked for two years at the Evansville Area Plan Commission as a Zoning Code Enforcement Officer and two years at the Green River Area Development District as a Community Development Planner. Trey started with the Owensboro Metropolitan Planning Commission in May 2017 as the Planner 1. Trey assists in reviewing variance and conditional use permit applications and preparing staff reports for the OMBA agenda items. He reviews plats and site plans submitted to the office and participates in pre-application meetings. Additionally, Trey is involved with assisting the public with zonings and flood map information, assigning new address to newly created lots and existing lots not previously addressed, entering new addresses in the permitting system, updating several data bases supporting 911 emergency services, reviewing code enforcement complaints and preforming landscaping inspections. Trey is a member of the American Planning Association and the Kentucky Chapter of the American Planning Association. He is also a member of AICP, the American Institute of Certified Planners, which is the American Planning Association’s professional institute, providing leadership nationwide in the certification of professional planners, ethics, professional development, standards of planning and planning practice. In order to become a member of AICP, one must meet certain education and experience requirements in the planning profession and pass a written examination, which he did in 2018. After certification, continuing education requirements must be met to maintain the certification as an AICP member.